Brian Jamison (right) presented with his Superhero Award by Printing Industries of America board members Michael Makin and Bryan Hall. In true Astro-Dynamic fashion, we can never go long without shaking things up! This summer we are adding an incredible piece of equipment to our facility. Astro-Dynamic adds a Ricoh C9110 to their digital printing department offering larger and faster printing capabilities. Once again, Astro-Dynamic was awarded a Franklin Award of Excellence at the Neographics 2015 Power of Print Competition. Astro-Dynamic was awarded a Franklin Award of Excellence at the Neographics 2014 Power of Print Competition. 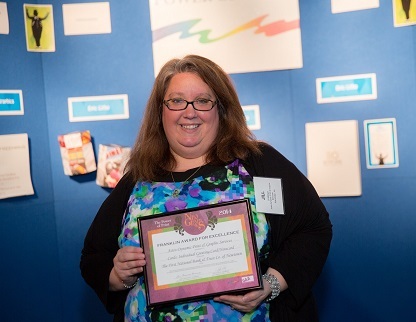 Jill Metzger, Account Manager, accepting one of our Best of Category Awards. 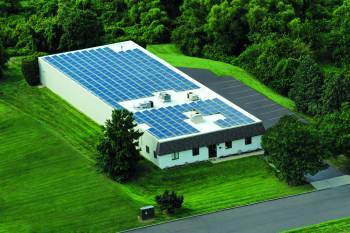 We are your solar powered print solution! For more information, please visit our Environmental Profile Page. 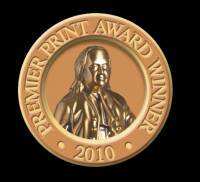 We were awarded 3 Best of Category Awards & 3 Franklin Awards of Excellence at the Neographics 2011 Power of Print Competition. 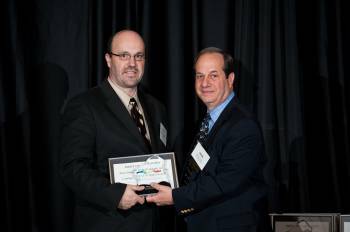 Brian Jamison, Vice President & Plant Manager, accepting one of our Best of Category Awards. Brian Jamison, Vice President & Plant Manager, accepting another one of our Best of Category Awards. 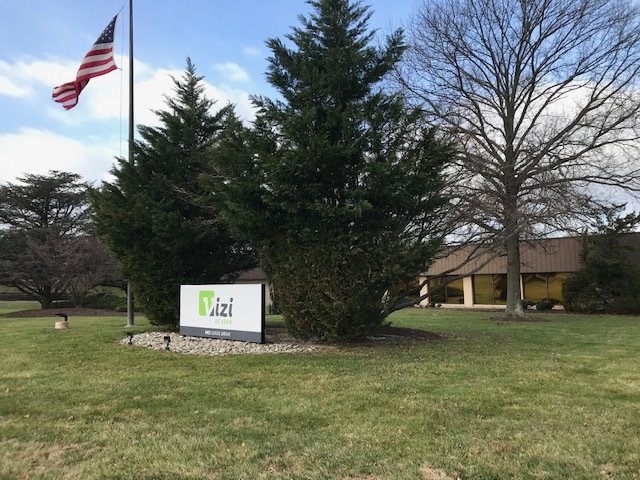 Astro-Dynamic Print & Graphic Services of Warminster, PA has been awarded a 2010 Premier Print Award, for outstanding achievement in the production of Stationary Packages. The graphic arts industry’s largest and most prestigious worldwide printing competition, hosted by Printing Industries of America, the Premier Print Awards recognizes those responsible for the creation and production of outstanding print communications. Astro-Dynamic won a Certificate of Merit for their entry Joe Craig Photography Stationary Package.